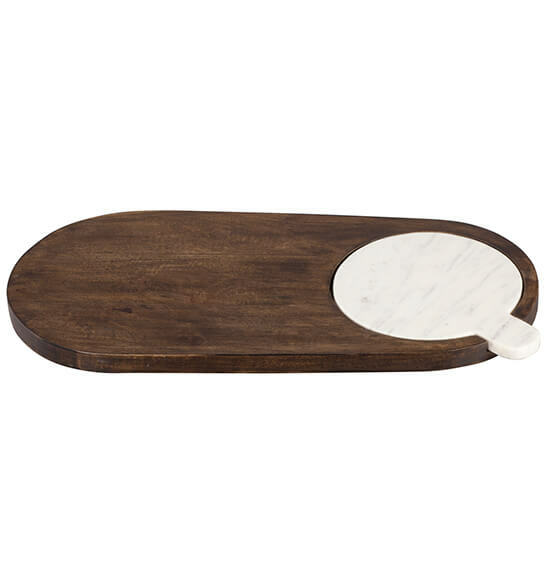 Take your appetizer presentation up a notch with this elegant marble and wood cheese board. The unique round marble board nests inside durable hardwood. 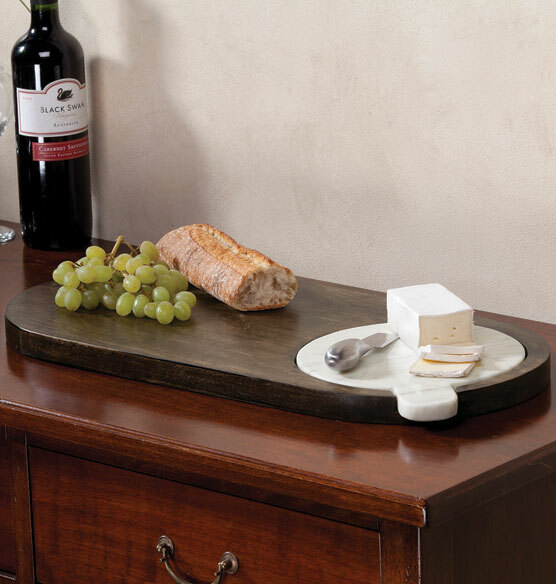 Perfect for entertaining, this board is a unique serving piece that is both beautiful and useful.